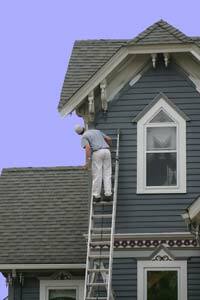 All Brite Painting Contractors is a family owned and operated company that has been in the painting business since 1999. We are committed to the long-term satisfaction that they are able to bring to our customers. Our Deerfield Beach painting contractors offer our customers high quality work that's completed in a timely fashion. All Brite Painting Contractors assists our customers with customized specifications that are able to meet their needs as well as budget. Our staff is dependable, always reliable, and friendly. We offer the solutions that you need for a brighter, cleaner, aesthetically pleasing home. Al of the projects that we do are managed by a supervisor who is assigned to oversee your project from beginning to end. Your main painting contractor in Deerfield Beach will communicate with you on the status and any updates that will be needed on the project. We will be happy to answer any questions that you may have regarding your interior or exterior project. We aim to please and that's pretty evident in every project that we are on. Our goal is for your complete satisfaction. All Brite Painting Contractors is fully licensed and insured. This is what separates up from other painters in the area. We also have the expertise to deliver quality workmanship and detail to all projects. So when you're looking for Deerfield Beach painting contractors; you will always find us at All Brite Painting Contractors. We're number one in painting. If you are looking for more information about a Deerfield Beach painting professional then please call 954-707-6348 or complete our online request form.